Every year, the International film festival Berlinale attracts many national and international guests to Berlin. 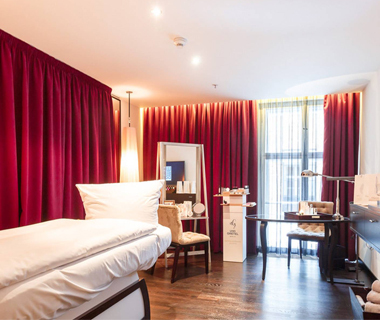 The HOTEL ZOO BERLIN – the official VIP Hotel of the Berlinale – offered with a Pop Up Beauty Lounge by WHEADON a relaxing beauty program for the guests from 11th till 19th of February 2017. Our highlight: All skin treatments were performed on our sound spa table IONTO Relax Evolution.